*You can find a breakdown and introduction to my training program in the Training Week 1 & Training Week 2 Updates. Okay, Week 3 – here we go! 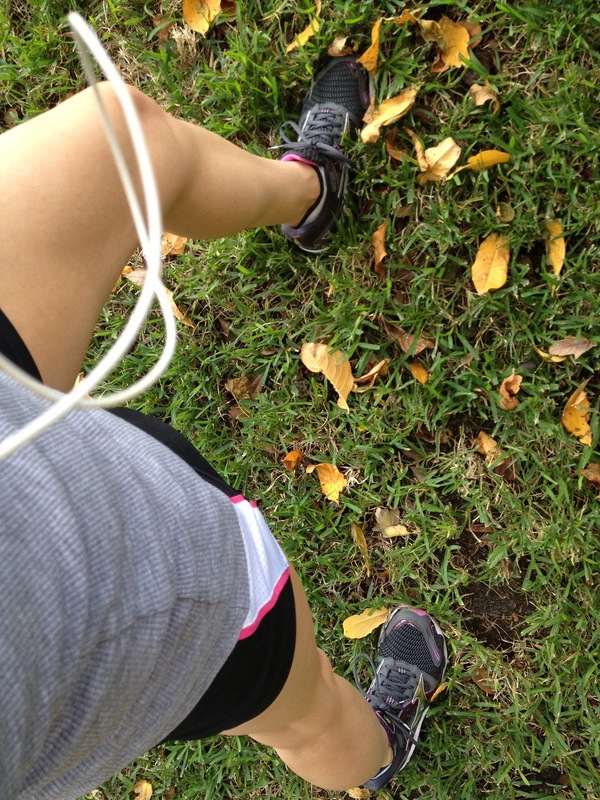 I started the week off with a nice run around the neighborhood. Mondays are usually pretty easy training days, seeing that the previous run on Saturday is always the hardest. Running in the morning builds my craving for coffee & eggs. 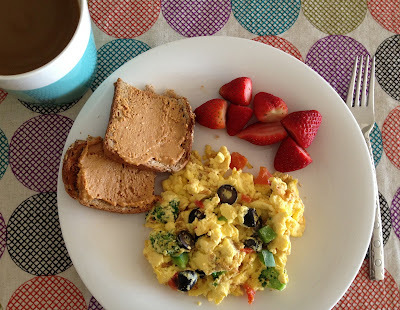 This day I scrambled 3 eggbeaters with lots of veggies: broccoli, green peppers, tomatoes and black olives. I had a handful of sliced strawberries on the side with a slice of whole wheat toast smeared in all-natural peanut butter. I had a productive Wednesday, which ended in an afternoon meeting with Drink Chia! 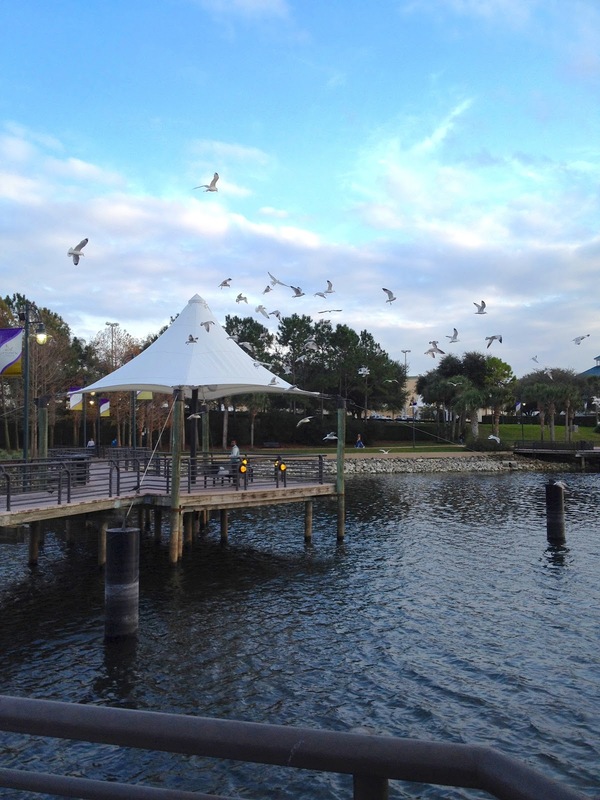 Since we were in the Altamonte area, Scott and I took advantage of it by enjoying the scenery of Cranes Roost Park in Uptown Altamonte. This has been one of my favorite runs yet, since the distance around each time is almost a full mile (0.95). We stopped to run on the way to my parents’ house for dinner, so I just needed enough fuel to get me there. Naturally, I grabbed a DrinkChia! and a Power Crunch protein energy bar. I’m not sure if it’s mental or physical exhaustion, but Thursdays have been the hardest day for me to get through. They’ve only been 3 mile training days so far, but for some reason I’ve had to psych myself push through this day of the week. *TIP: No matter how short or long your distance is, don’t forget to stretch before and after your run! Since we went for a later run in the afternoon, I conveniently pulled out a salad Scott made for dinner the night before. It was a great one made up of Romaine lettuce, broccoli, carrots, tomatoes, cucumbers, celery, croutons, sliced colby jack cheese, fresh cilantro and diced deli turkey. I wanted to add more protein to the salad so I diced up Morning Star Farms California Turk’y Burger on top. 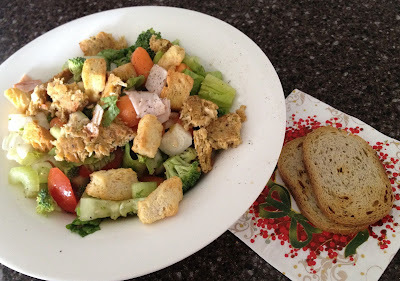 Since there was already a lot of flavors and didn’t want to mess it up with dressing, I added a tiny bit of olive oil & vinegar and served it with 2 Melba Toast Whole Grain crackers. 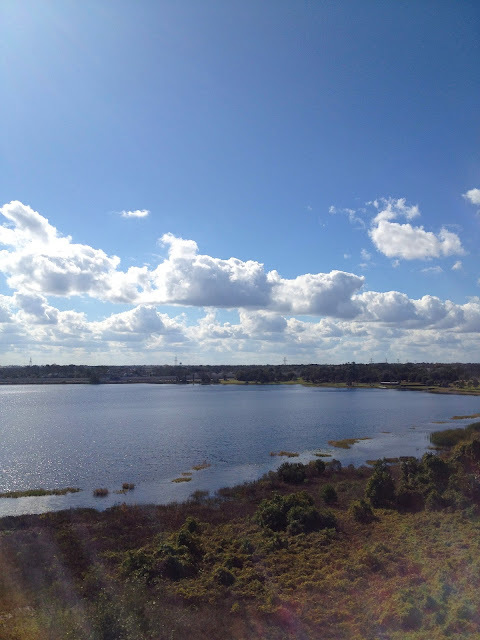 I had to do yesterday’s run late in the afternoon. I had barre training in the morning, followed by a friend’s baby shower, so I fit in the run before a dinner date with friends. I mentally prepare myself for Saturday runs, because each week the distance increases about 2 miles. 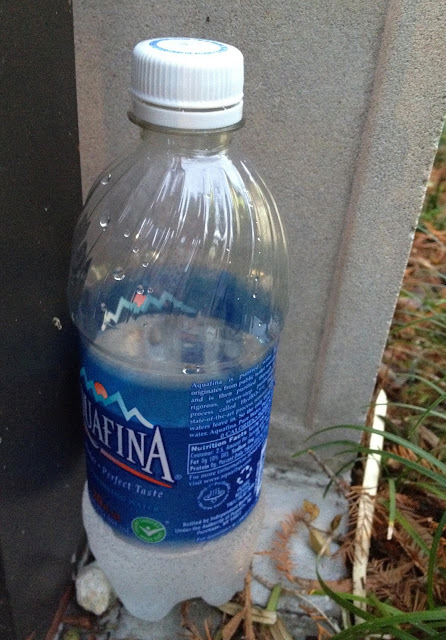 I’ve learned to stash water bottles about a mile or two out in my neighborhood so I can take a sip of water then and also on the way back. Of course, this is most ideal if you’re circling the same path, but even if you’re not it’s important to do to stay hydrated during longer distances. Since I was going out to dinner, I wanted something quick, easy and light. 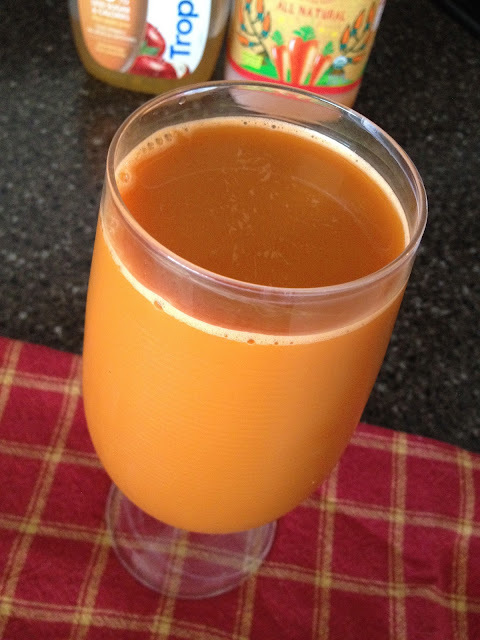 I turned to my go-to new favorite juice: a tall glass of Odwalla Carrot Juice mixed with Farmstand Apple Trop 50 Juice. You might have seen me rave about it in mt Training Week 2 Update, but if not…this stuff is the shiz! As annoying as it might be, don’t forget to drink water every 2 miles of running. 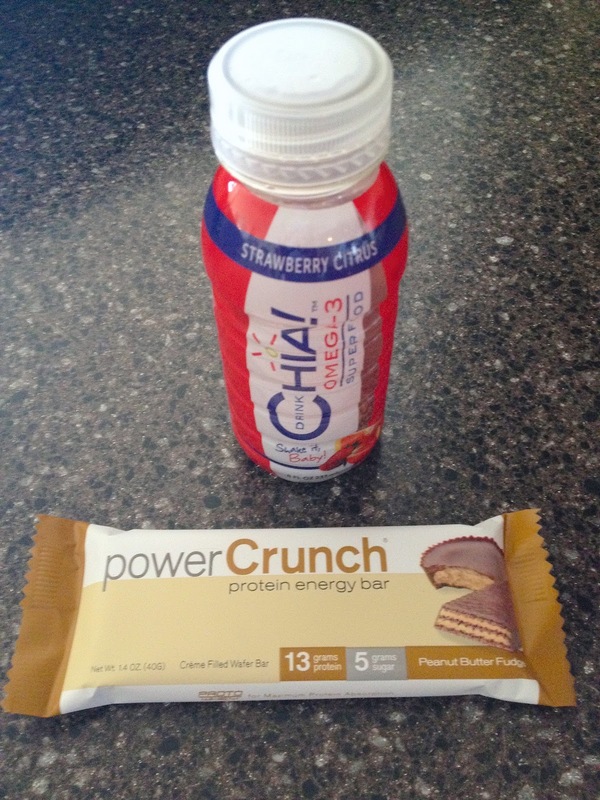 Power Crunch bars are where it’s at! Cranes Roost Park has been my most enjoyable run yet, and I see a lot more in my future. I need to start getting pumped up for Thursday training days. Dipping your feet (and legs as high as you can) in the pool during the winter time = cold plunge. If you have a cold plunge in your gym, 10 minutes after an intense workout or training session can do wonders for your muscles and recovery. If not, stretch and ice post-workout as often as possible. 6 Mile runs are hard, but doable.